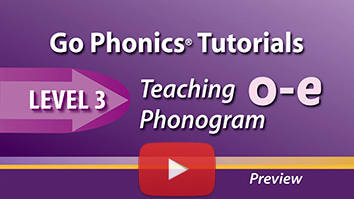 By watching these tutorials, parents and teachers (whether novices or experienced instructors) can better absorb and utilize the Go Phonics Teacher’s Guide. 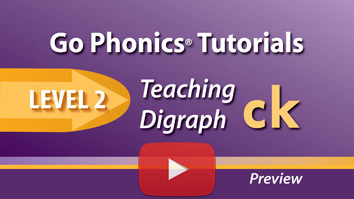 The strategies and techniques built into the program (using the Orton-Gillingham approach) can be maximized, and you can make better use of the hands-on practice tools and decodable stories (that tie the phonics and language skills together). Davison shares the tips and tricks she has developed over 43 years of teaching struggling readers. That experience comes from teaching whole classes of dyslexic 2nd graders for 18 years and tutoring another 18 years since she retired from the classroom. Averaging 23 students a week, she has tutored over 400 students. With a parent required to sit in on every session, the parent learns along with the child. (Some are also professional teachers.) These daily experiences have provided the insights for what to emphasize in these tutorials. Each subscription is for a single user implementing the program. The videos provide support for each lesson. Watch the tutorial for a lesson, and then teach. They can be viewed again and again (because teachers need repetition too). They also benefit reading coaches who not only teach struggling readers but also help individual teachers/aides fine-tune their instruction. 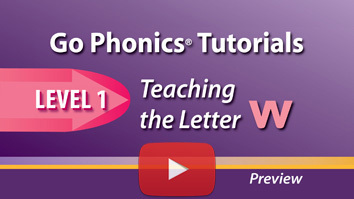 Go Phonics Tutorials are available on a subscription basis to customers who are purchasing or have purchased either the Go Phonics Basic Kit or Go Phonics Program Package. Click here to request current pricing. Subscription Options: Start with Part 1 if beginning in Levels 1 and 2. 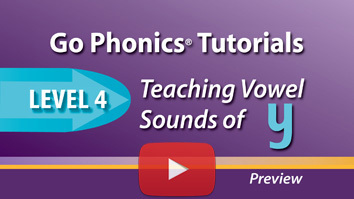 Or, get Part 1 and Part 2 at the same time if you’re also teaching students in Levels 3, 4, and 5 of the program. The author’s experience with struggling readers is that when they are assessed level by level, there are always some gaps in Levels 1 and 2, and handwriting needs improvement, so Part 1 of the tutorials is a prerequisite to getting Part 2.